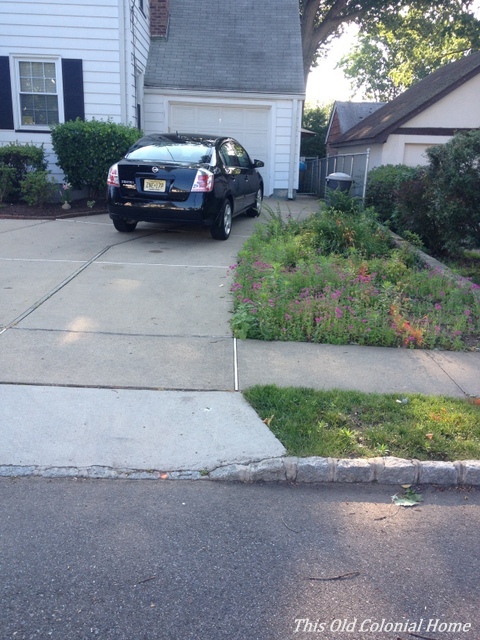 We’ve never really understood the design of our driveway. 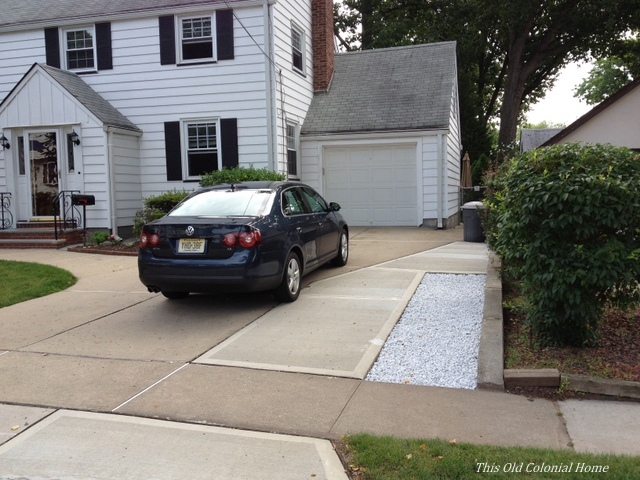 It goes up to our one-car garage at an angle instead of straight in. I suppose the previous owners just wanted to have a nice flower bed alongside it. But for Jamie and I who don’t have green thumbs — hence the overgrowth in the above picture — we wanted something that was more functional. 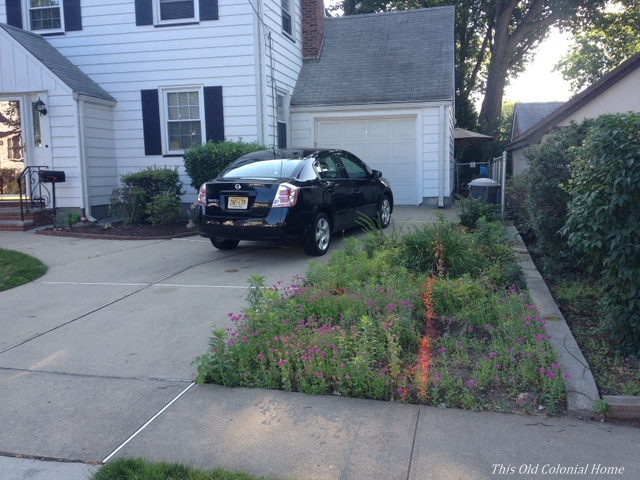 So we decided to have the flower bed dug up and then widen the driveway to fit two cars across. When we bought the house we pretty much knew this was something we wanted to do. During the fall and winter months our town doesn’t allow overnight street parking so they can do leaf and snow removal. And since I get home first and need to be out first in the morning, the swapping of cars got old pretty quickly. So finally last week, the company we hired came in and took care of the job! 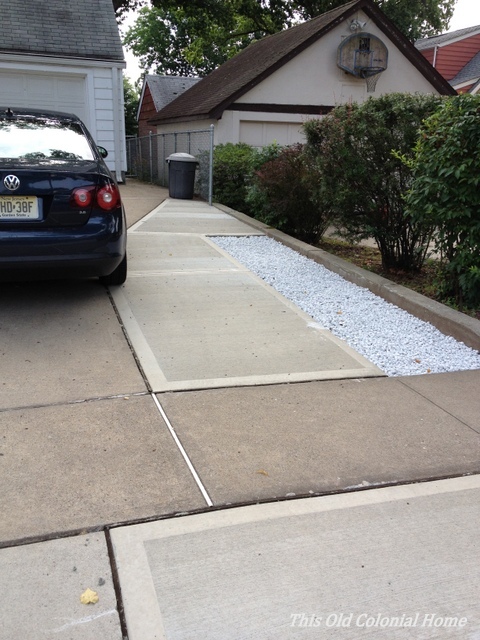 Unfortunately, borough codes restricted us from taking the driveway all the way to the edge of our property (stupid), but we just filled the remainder in with decorative stone from Home Depot. The important thing is it’s now more functional and better fits our needs. And it doesn’t look too shabby either. What projects have you done to make things more practical and useful? 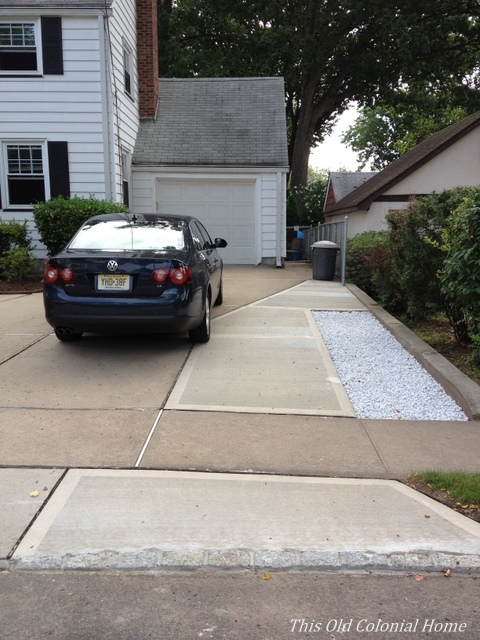 Categories: Renovations | Tags: concrete, curb appeal, driveway | Permalink.